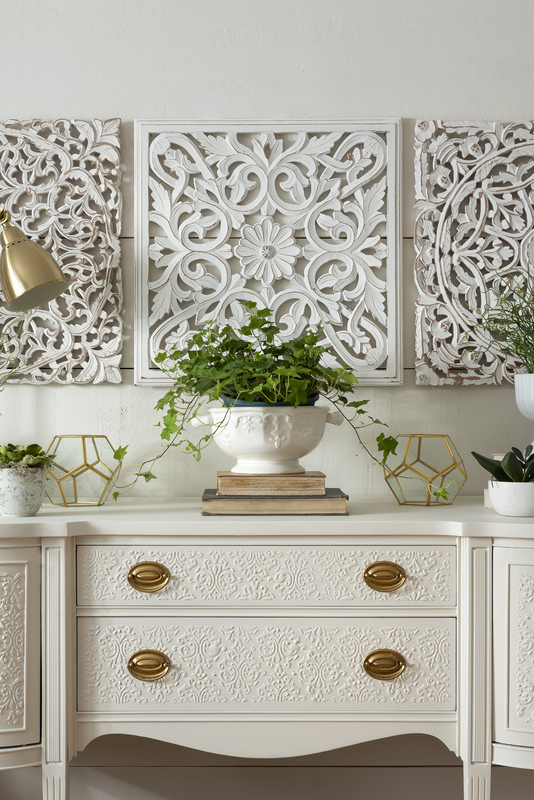 Transform a simple sideboard into a gorgeous stenciled statement piece of furniture! 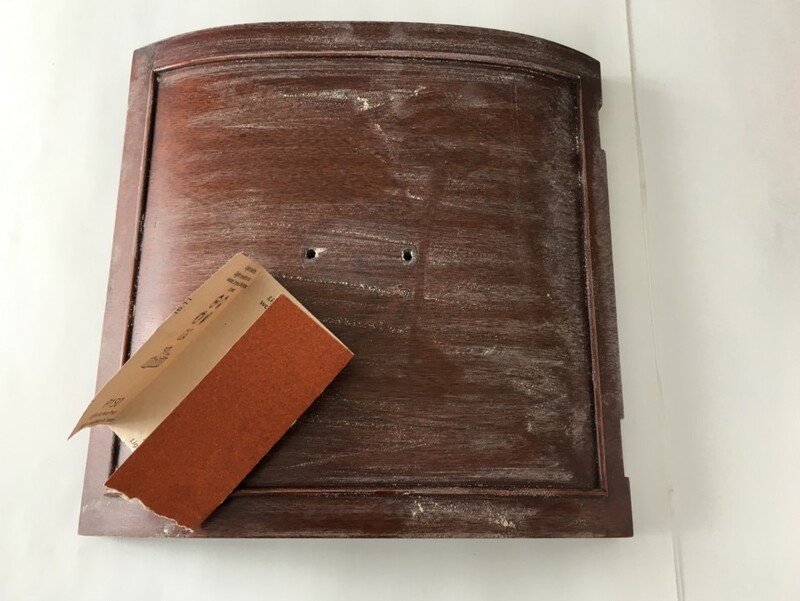 Sometimes even we have to step back and take a minute to really appreciate the power of paint and what some TLC will do for an old piece of furniture. Like in the case of this project. This sideboard isn’t even stunning, it’s a marvel to look at. 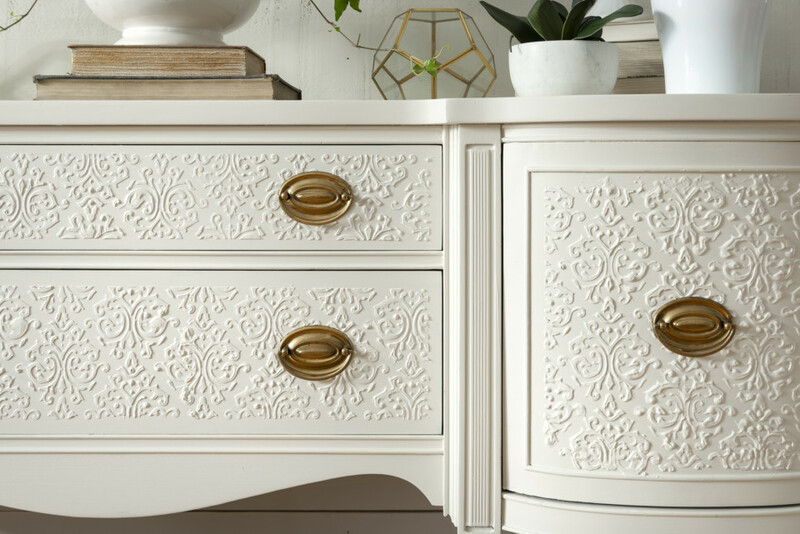 The details, the texture and the elegance it exudes is something that people who come to visit your home will think you paid thousands of dollars for. The truth is, all you need is some Fusion Mineral Paint, some Fresco and a stencil and you’ll be able to recreate this look for yourself. 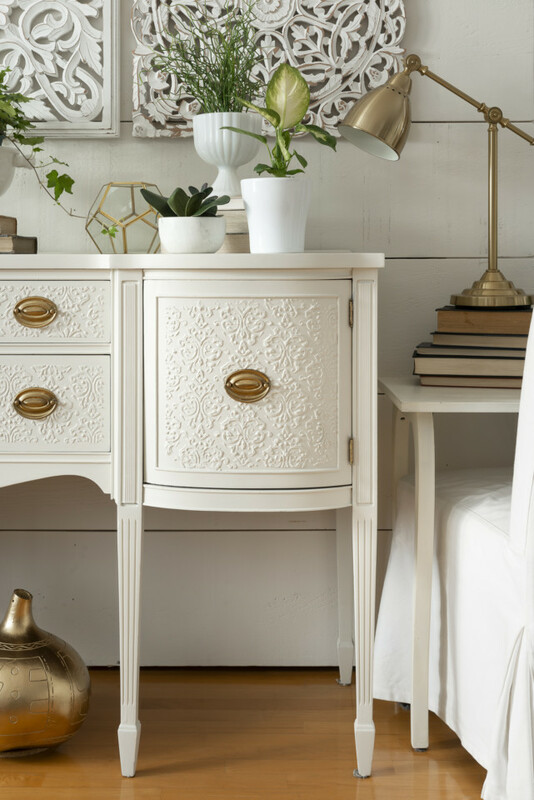 It is actually super easy to stencil furniture using Fresco and Fusion Mineral Paint. This sideboard had a glossy finish, so doing a little scuff sanding was important to make sure the surface was just the right amount of gritty to be able to paint over. Your prep is always the most important part of any project, so make sure that you take note of your surface so this makes the rest of your paint project go easier. After a light scuff sand, wipe it clean to make sure there is no residue or specks of dust. 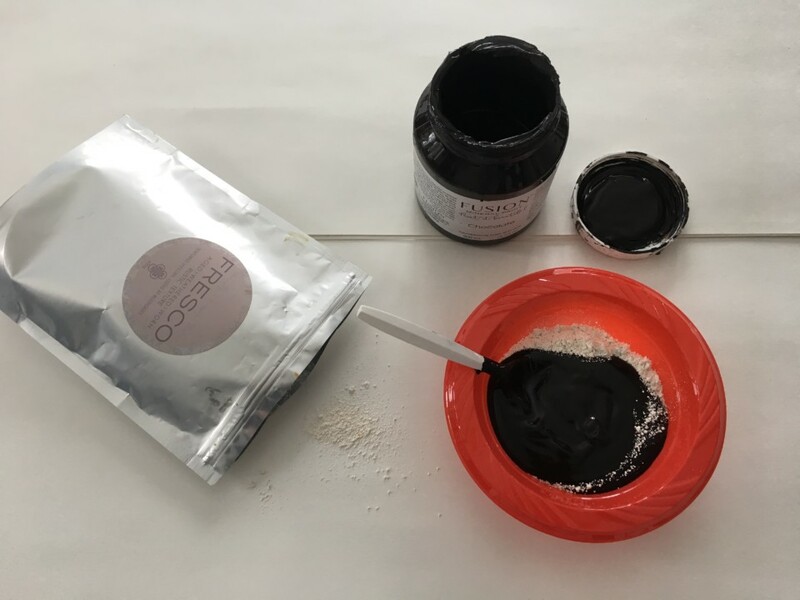 Using the Fresco Powder, mix it with Fusion Mineral Paint in Chocolate. To get a really smooth consistency (like pudding) it helps to whisk the dry powder before mixing in the paint. This ensures any clumps are smoothed out. Lay the stencil over your piece of furniture and then evenly smoothed on the Fresco/paint mixture with a flat scraper. Gently lift the stencil and clean the stencil thoroughly. For this sideboard, the drawer fronts were removed and placed on a flat surface. In many ways it can make stenciling much easier than applying it vertically, but you can do so that way if you prefer or if you are unable to remove the parts you want to stencil. 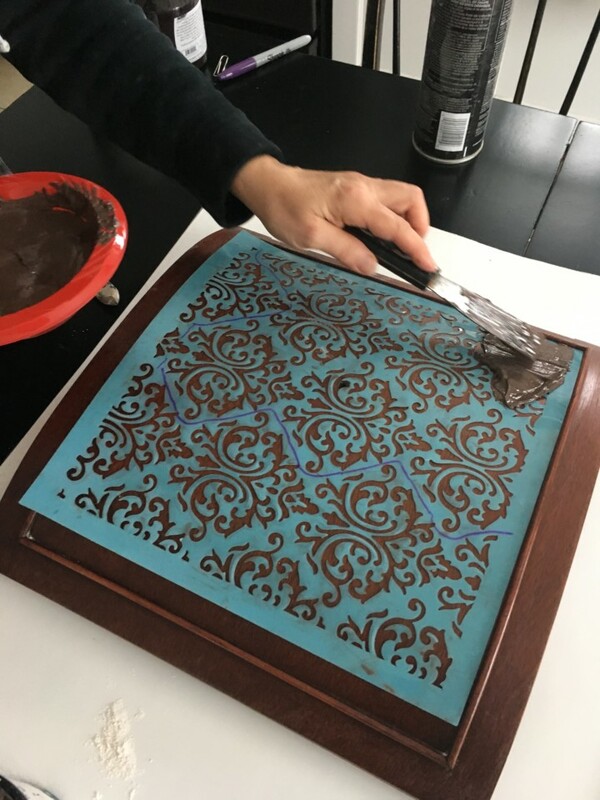 TIP: It helps to speed up the process if you have more than one stencil so you’re not stenciling, cleaning, stenciling, cleaning. It is important to clean between stencil applications to make sure your stencil surface is smooth and free of the mixture. Allow the Fresco to completely dry before moving on to a new section otherwise the stencil will smudge your previous raised detail. After the Fresco has dried, sand off any peaks until the raised detail is smooth. Afterwards wipe off any powder residue. Finally paint the piece of furniture with Fusion in Raw Silk. And voila! 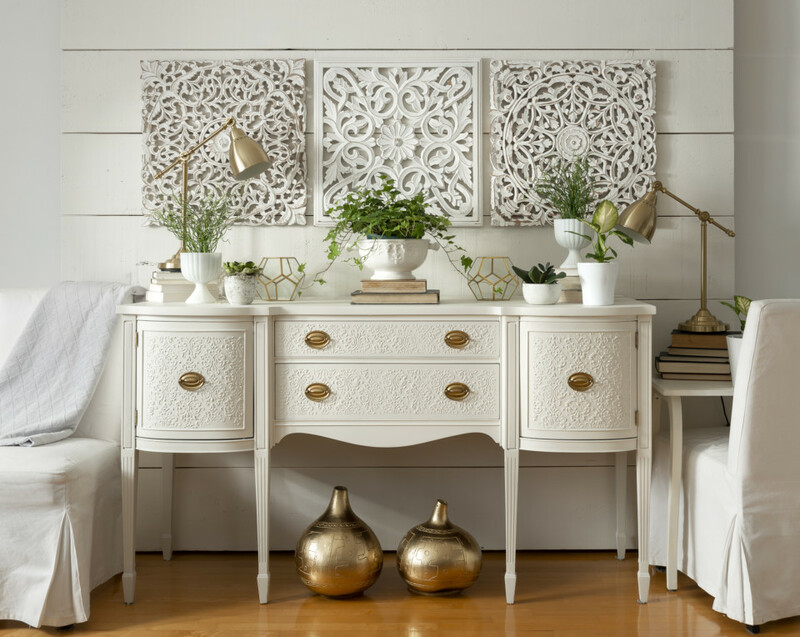 A sideboard worthy of some serious envy at a fraction of the cost. If you want the detail to show up even more, you can give it a bit of a sand to show the Chocolate through the Raw Silk for a beautiful distressed look! 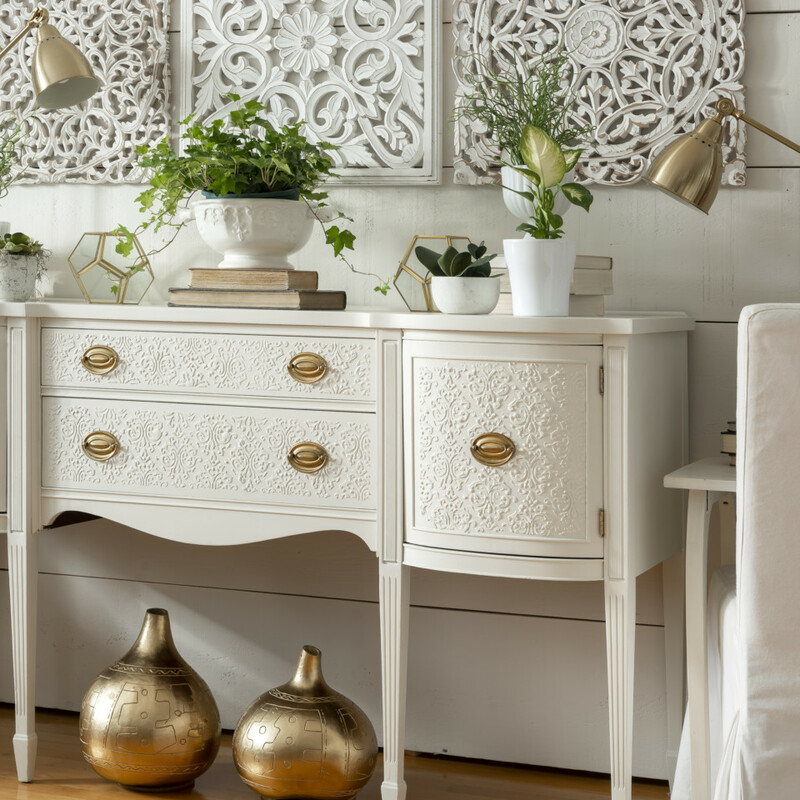 The details on this sideboard are just beautiful! It looks like a hand carved piece so imagine if you let someone know, it’s Fresco! 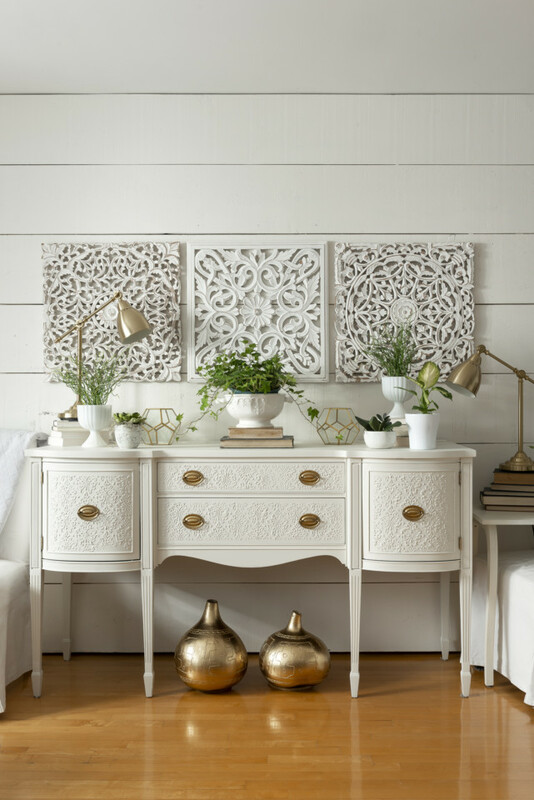 We’d love to see your stenciled furniture pieces so don’t hesitate to share them in our Paint it Beautiful Facebook group!